The curved screens of Samsung’s Nexus S and Galaxy Nexus helped them stand out in the smartphone crowd, but it’s clearer than ever that the company doesn’t have a lock onthe idea. Apple is exploring the concept as well: it just received a patent for a technique that molds thin glass into bent or curved shapes without a drawn-out process or using risky chemicals. By having alignment tools shift along with hotter temperatures during a glass slumping process, where the material shapes itself around a mold, Apple can bend glass without any interference — leading to curvy surfaces that are both quicker to make and higher quality. 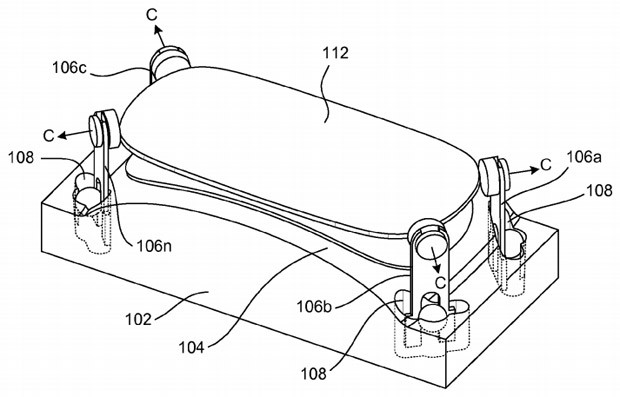 A patent doesn’t mean that we’ll see a curved iPhone in the immediate future, though. Apple leaves its options open and suggests that anything from mice to TVs could be candidates, should the company take action at all. If the patent ever applies to real-world products, however, we’ll have an inkling as to how the bendy shapes came to be.